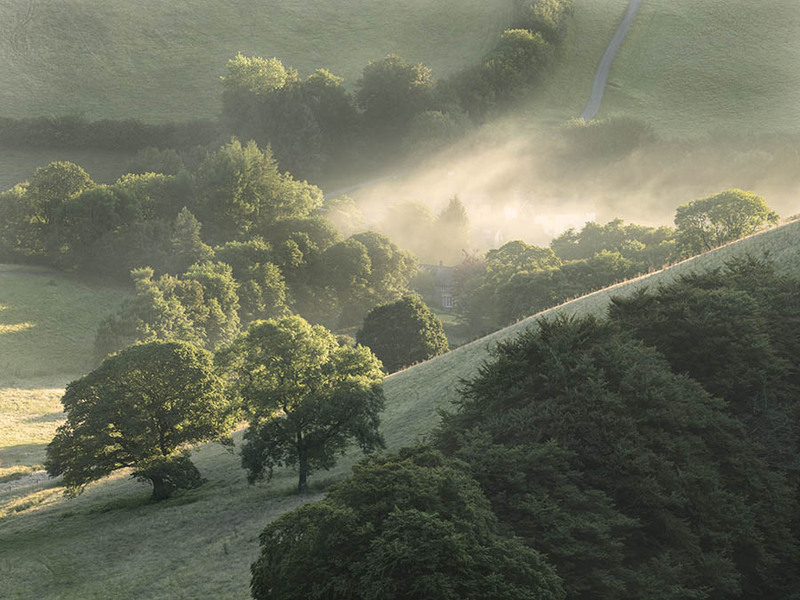 As the sun comes up over Exmoor National Park, sunlight floods the Punchbowl and a slight mist rises out of the basin revealing a farmhouse hidden among the Oak and Beech trees. Winsford Hill. Somerset.